JACK C. BARBER NORTH LIMA - We said goodbye to Jack C. Barber, 81, who lost his struggle with lung disease on Wednesday, Sept. 28, 2016. Jack was born on May 7, 1935, in Youngstown, the son of John G. Barber and Thelma Horning. He worked as a safety supervisor at Youngstown Cartage Co. for 30 years. After the company closed, he started his own mechanic repair shop called Uncle Dudley’s Garage. Jack was an avid hunter and fisherman, who built and raced a variety of vehicles. In his later life, he enjoyed going to casinos. 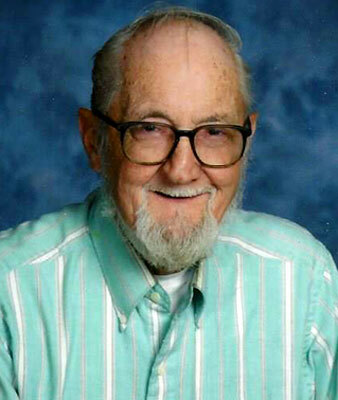 He was a long time member of the Calvary United Methodist Church. Jack leaves his loving wife, Pauline; his daughters, Vicki and Lori; and his grandson, Steven. He also leaves his sister, Judy (Micky) of Florida; and his sister-in-law, Donna. Preceding Jack in death were his parents; and his brother, Don. Visitation will be held on Monday, Oct. 3, 2016, from 10 to 11 a.m. at the Calvary United Methodist Church in North Lima. A service will be held at 11 a.m. with Pastor Renae Meggitt officiating, followed by a luncheon and fellowship. After the luncheon, Jack will be laid to rest at Green Haven Memorial Gardens in Canfield. The family requests that material tributes take the form of contributions to Hospice of Mahoning Valley. Arrangements for Jack were entrusted to the Borowski Funeral Services.